Photo: Dodge. Text added by David Tracy. Many of my friends find it strange when I talk about my Jeep’s 4.0-liter “motor,” as they think that term is reserved only for electric cars. But that’s not true. 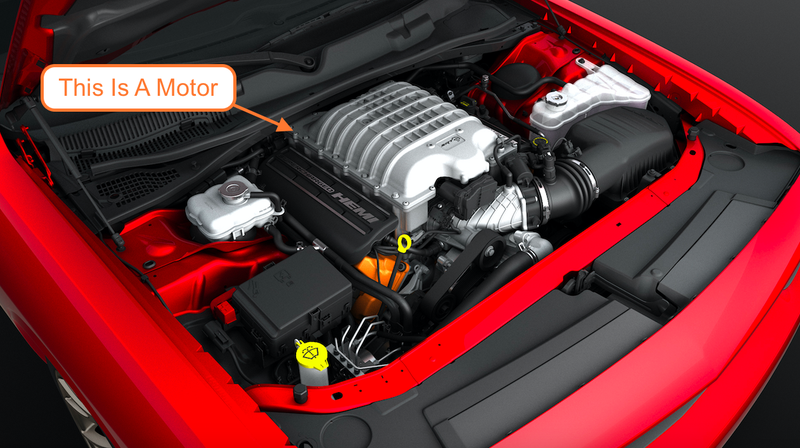 The terms “motor” and “engine” can technically be used interchangeably. The dictionary specifically mentions the internal combustion engine as a type of motor, so that should settle that whole discussion. And if it doesn’t, consider the fact that the term for “engine” in other languages is actually “motor.” For example, if you translate the term “diesel engine” into German, you’ll notice that their word for it is “Dieselmotor.” Plus, if you look at any old advertising for American car companies at the turn of the 20th century, you’ll likely see the term “motor” used more often than “engine.” (Not to mention, we call a bicycle with an internal combustion engine a *motor*cycle). So yes, a fossil-fuel powered engine is a motor. And it’s totally OK to call it one. A number of other dictionaries define the term similarly, specifying that an engine usually involves the consumption of fuel. 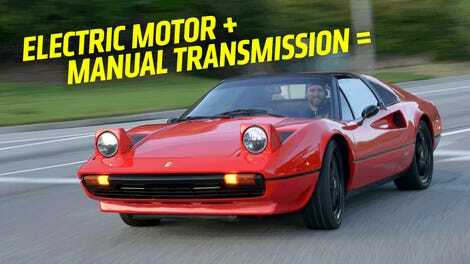 So yes, even if you can call an electric motor an engine, it’s fairly unusual these days to do so. So yes, you can totally say a gasoline-powered car has a motor, and you can say an electric car has an engine, but there’s no doubt that the latter is bit odd, while the former is totally normal.